F Tier sounds like a bad place to be... and it kind of is? But these are still great builds. 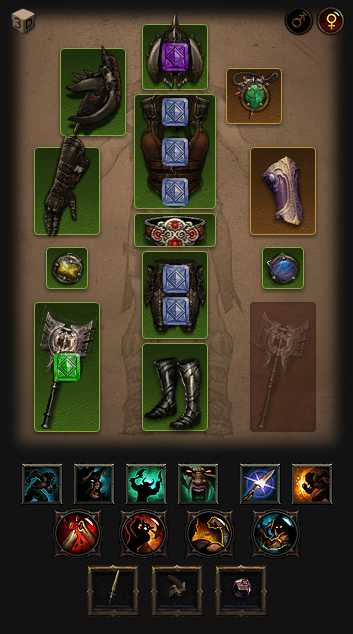 Some of the best in Diablo 3. They're just the weakest compared to all the rest on our list. The only way to keep Uliana's halfway relevant is to combine it with the much more powerful Inna set. Uliana's is a set that combines 7-sided strike with Exploding Palm, but Inna's can pull off a far more powerful Exploding Palm build. The Inna Uliana build focuses instead on 7-sided strike, using the powerful buffs from the full 6 pieces of the inna set, along with the four-piece bonus of Uliana's, to make 7-sided strike do as much damage as possible. Unfortunately, this build is still strictly inferior to straight Inna's combined with more synergistic items. 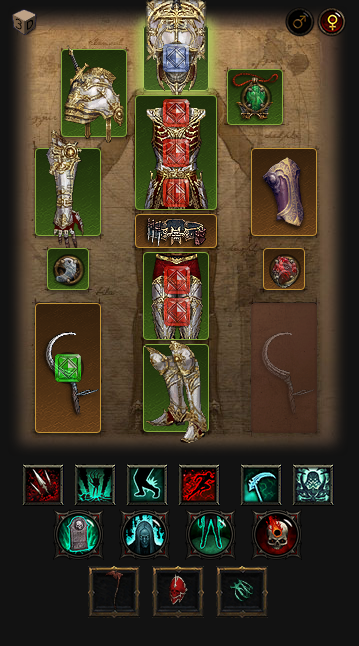 If you haven't found the items needed for a good Inna build and happen to have some Uliana's lying around, feel free to use this build as you work your way to a proper Inna build, but otherwise, only pick this build if you love 7-sided strike. 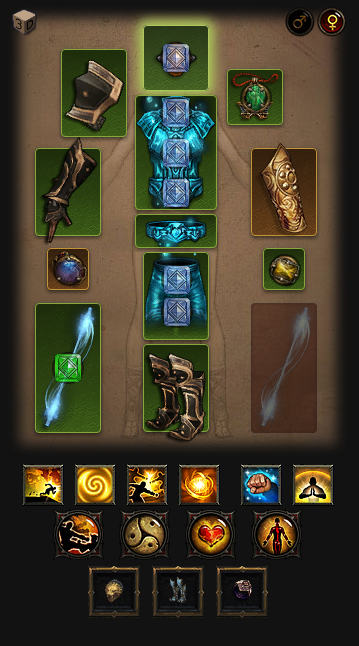 There was a time when the Bonestorm build was looking to be the top Necromancer build, clearing Greater Rift 107s before a more powerful set was discovered at the same time that a nerf to the Bonestorm build was about to release. The build previously relied on the use of the mirinae gem to smite enemies, but the nerf made the gem no longer a best-in-slot choice for the build and knocked it down about 5-10 greater rift levels. Inarius' place in the F tier, currently, is a conservative estimate of its power - we're less than a month into the release of the necromancer, and I suspect we have yet to see the full power of the necro unleashed. It would not surprise me to see Inarius rise to at least D tier by the end of the season, but there's really no guarantee - so we'll leave it in F tier for now. We have a bonestorm build guide that you can check out if you like the playstyle - just swap out the mirinae gem for a gogok of swiftness. Jade is still clinging to relevance, a relic of a bygone era for Witch Doctors. Previously in the D tier, the introduction of a far more powerful Witch Doctor build in the midst of season 10 leaves us with little reason to play Jades other than using it to gear for stronger builds. 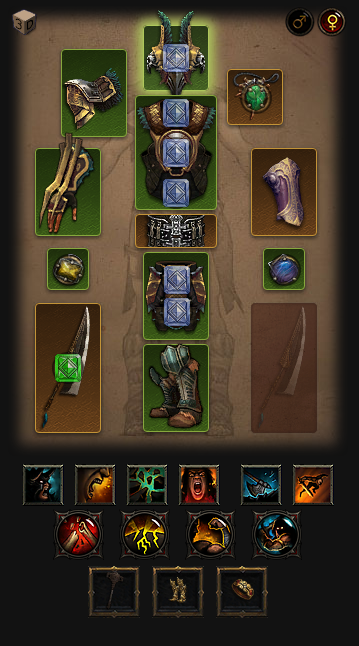 Still, it's not a terrible set to have. Once the best barbarian build, the charge barb has fallen from grace, left behind ever since greater rift density changes a few patches ago allowed other builds to rise to compete with it. Previously in the D tier, the charge barb is bumped down to the F tier thanks to the necromancer power creep. Previously in the D tier, the Helltooth garg was once the top WD build. 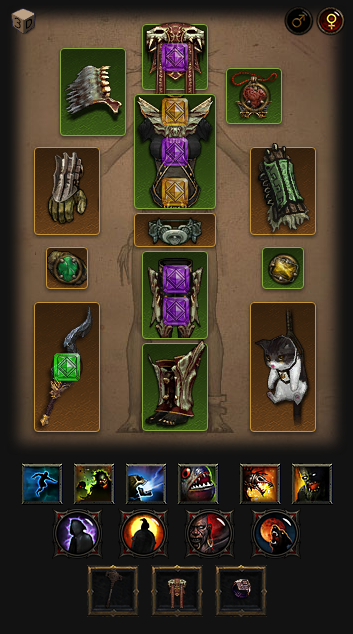 Now, not only is there a more powerful helltooth build, the dominant witch doctor build is so far beyond this build's power that the only reason to take this build is if you really want to play a passive pet build. 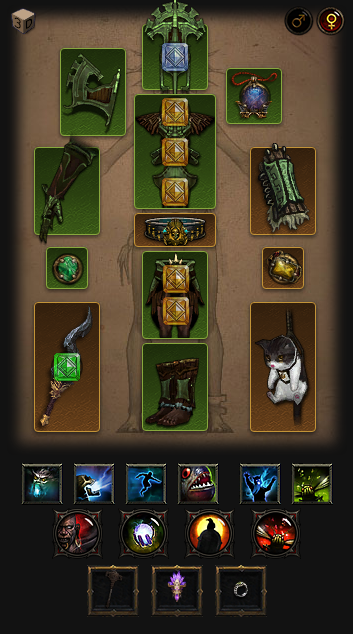 If you're unhappy with the necromancer's minion builds, you can try this pet build. The final F Tier build. This build was D tier in our previous tier list, ranking worse than the charge barb, but it has actually managed to muscle its way above the charge barb - not far enough to escape the F tier, however.